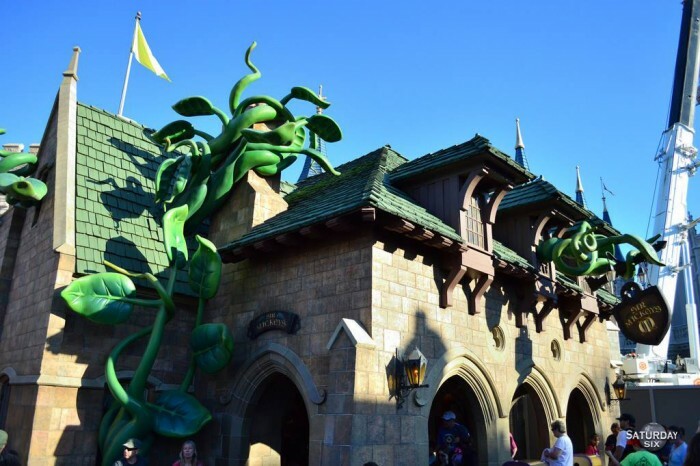 Mr. Toad’s Wild Ride, an opening day ride at the Magic Kingdom that entertained guests in Fantasyland until 1998, was the first Disney attraction to have a failed online petition trying to save it. Since then, almost every single attraction that Disney and Universal have closed to make something new has garnered some sort of online support. There was even an outpouring of support for the Sorcerer’s Hat at DHS, an item which – at best – could be called an eyesore. 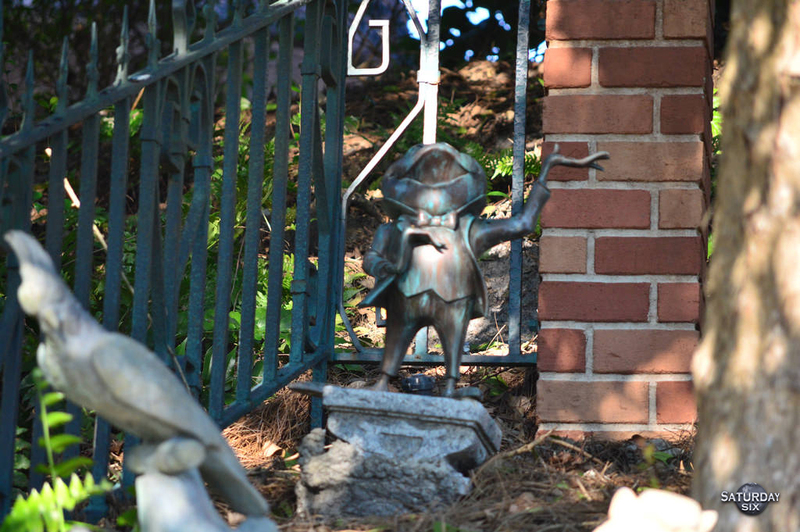 There are many of us who still miss Mr. Toad’s Wild Ride, and thankfully there still are a couple of references to Mr. Toad still at the Magic Kingdom today. 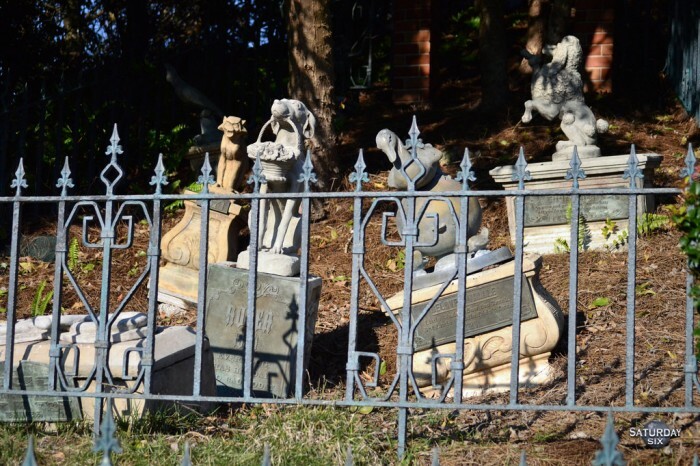 One of these is located at The Haunted Mansion, and can be seen as you exit the building. There is a small pet cemetery on your left, and if you look towards the back, you’ll see a gravestone for Mr. Toad. Recommended supplements: The Unofficial Guide’s Disney Dish podcast with Jim Hill and Len Testa. Episode 92: The Save Mr. Toad Protests. To listen, click HERE. 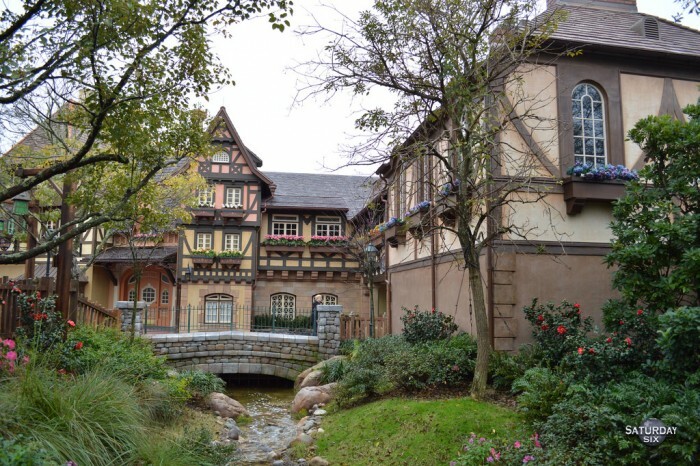 Tim Grassey’s Mr. Toad’s Wild Ride Tribute Video. To watch, click HERE. This is one of the few Easter eggs at the Magic Kingdom where Disney goes out of their way to point out is there, but still many guests don’t see it. 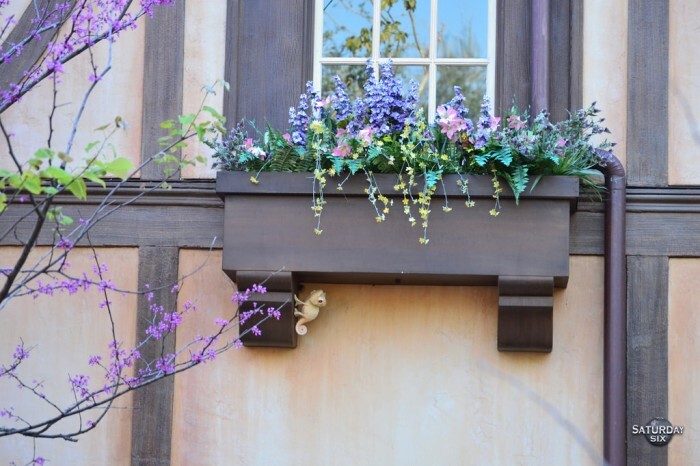 When WDW unveiled the first E-Ticket bathroom with the Tangled Tower, they included a ton of wonderful details in area. 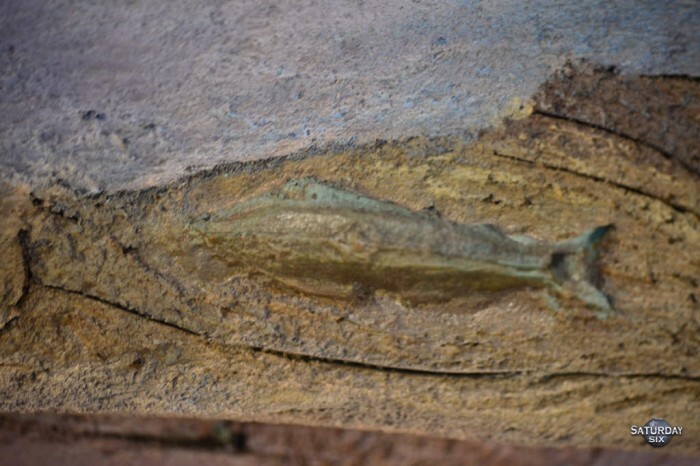 Our favorite is the hidden Pascals. There were ten Pascals you could find hiding around when the area made its debut in 2013, but it appears a couple have disappeared since. 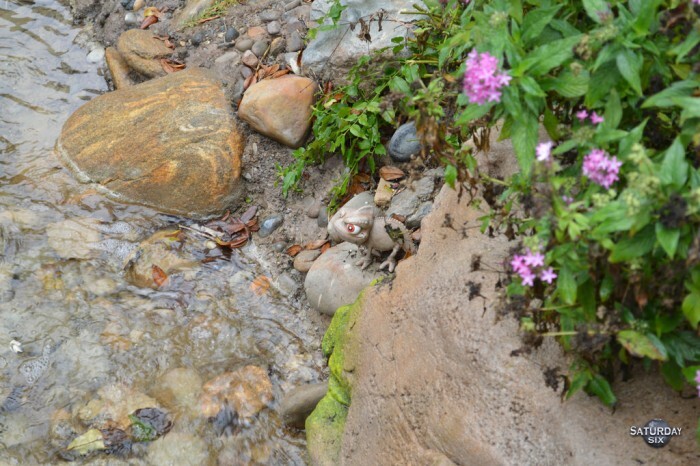 Keep your eyes focused on the stream, rocks, and buildings in the area and you’ll still be able to spot everyone’s favorite chameleon. 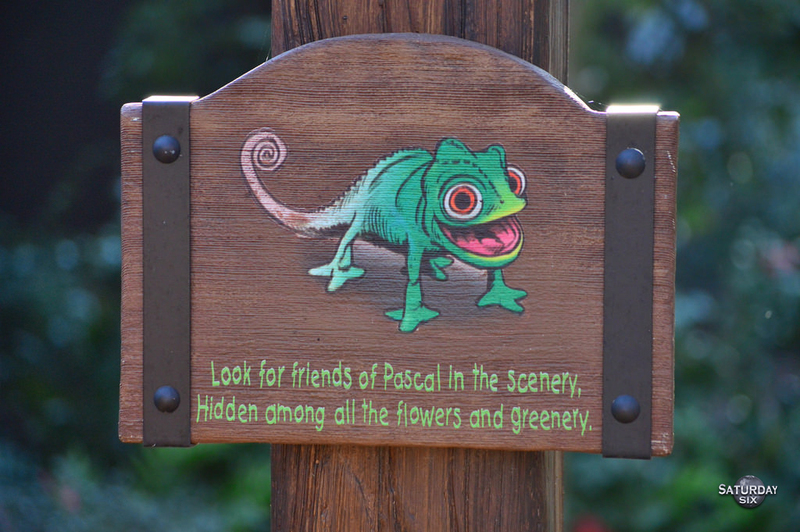 Pascal is not the only one of Tangled’s animal friends to get some nods in this area. 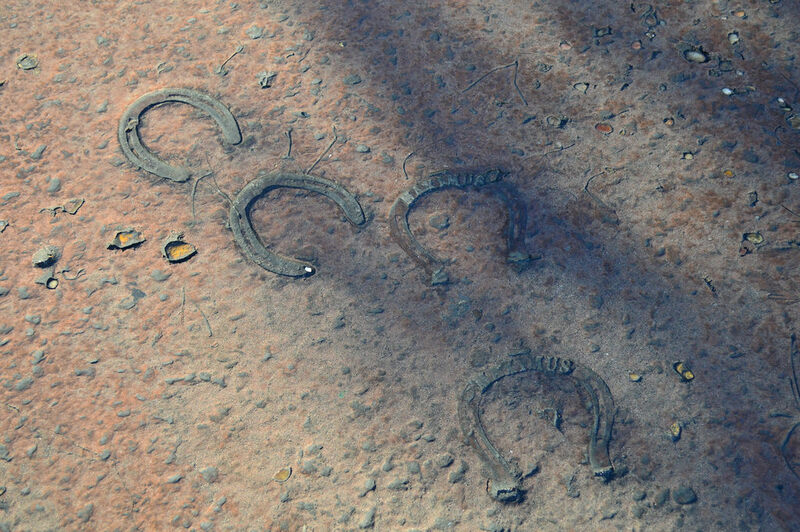 Take a look at the ground and you’ll see hoof prints made by Maximus’ horseshoes. Recommended supplement: The Tangled restrooms are gorgeous, and did you know you can get your wedding pictures there? Click HERE. We at the SATURDAY SIX went with the silver package, in which your photos are taken in front of the bathrooms near Spaceship Earth. As they say, it’s not what you make it’s what you save. 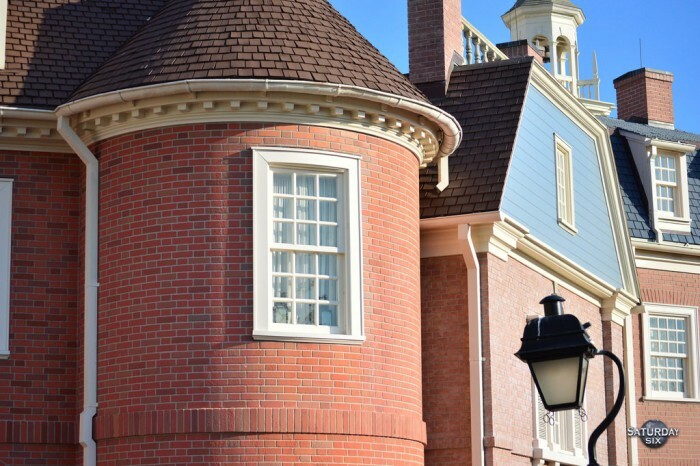 There are so many incredible details inside Liberty Square referencing American history that you are doing yourself a huge disservice if you quickly hustle through this area on your way to the next E-Ticket attraction. There is the Liberty Tree, with 13 hanging lanterns representing the original 13 colonies. The Magic Kingdom’s Liberty Tree itself is a tribute to the actual Liberty Tree in Boston, which was the meeting place for the Sons of Liberty (who orchestrated the Boston Tea Party). The Liberty Bell inside Liberty Square was made from the same mold which created the original Liberty Bell in Philadelphia. One of our favorite details can be seen in the window of one of Liberty Square’s buildings. If you look closely, you will see two lanterns and this is referencing the poem Paul Revere’s Ride by Henry Wadsworth Longfellow that included the line One, if by land, and two, if by sea. The two lanterns indicated that the British were coming “by sea” across the Charles River, and not by land via Boston Neck. 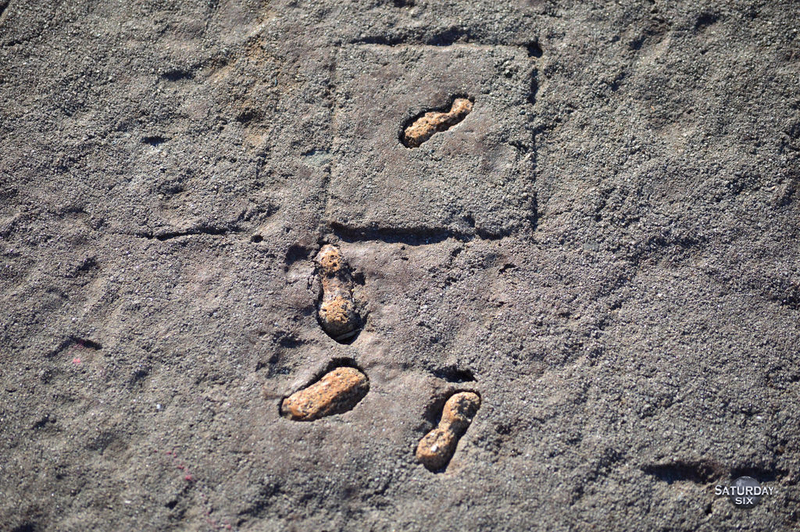 Paul Revere created these signals in case he was prevented from leaving Boston and making his famous ride alerting the Massachusetts country side. The second detail we’d like to point out (“#2” if you will) is the actual streets that you walk upon in Liberty Square. 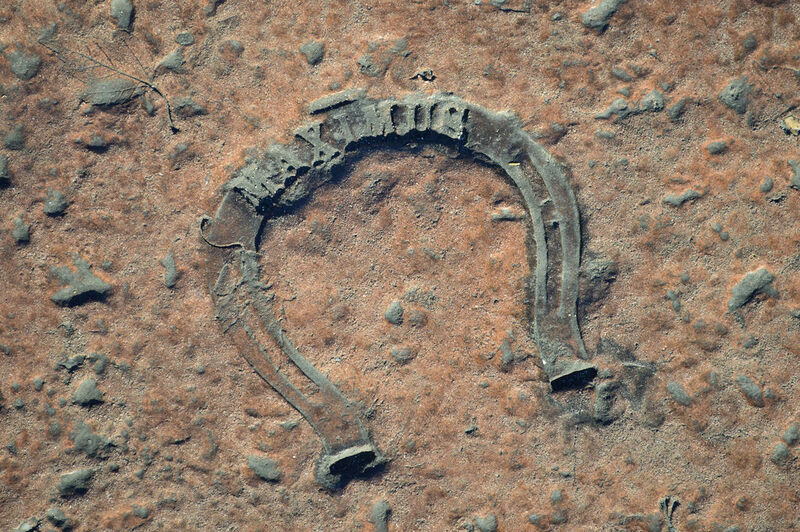 While most of the pavement is a reddish color, there is a brown ribbon of pavement – several feet wide – the goes around the entire area as well. This is referencing the fact that there was no indoor plumbing during the colonial period and that our forefathers would take their waste and just dump it into the streets. That’s right #Millenials, we are and always will be ‘Murica. Recommended supplement: Daisy Lauren’s The Disney’s in the Details: Liberty Square – Click HERE. Ever been in a place a thousand times and not notice something extremely large? 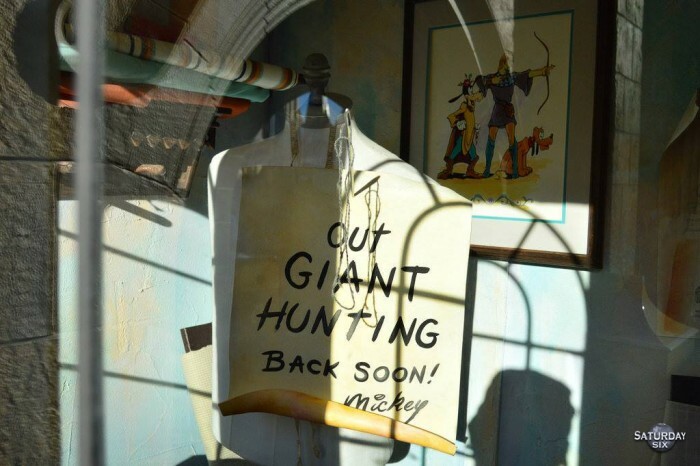 Well, it’s happened to us before over at Universal with a giant skeleton hanging in the Islands Trading Post and it has happened to us again in Sir Mickey’s at the Magic Kingdom. 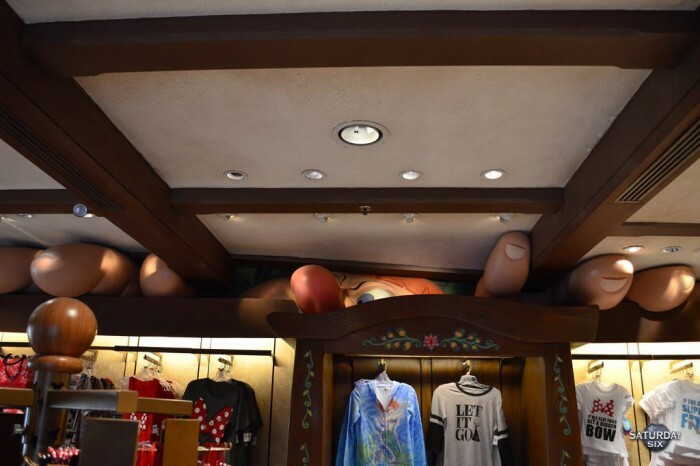 Even though we’ve been in the store many times while in Fantasyland, we never quite picked up on its elaborate theming to Mickey and the Beanstalk and somehow never noticed a giant peeking through the roof. Maybe we should have noticed THE GIANT BEANSTALK growing outside the store? You may not have noticed it before, but every building down Main Street USA is topped with an American flag (so that explains why you’re heart is swelling with pride, although to be fair the swelling could also be related the Pop-Tart Sandwich you ate the day before. You may want to consult a doctor). However, did you know that most of those flags are actually NOT American flags? It’s true. There are actually a lot of official rules and regulations for displaying the American flag. When displaying the flag on buildings, it is customary that they need to be taken down at night or illuminated. 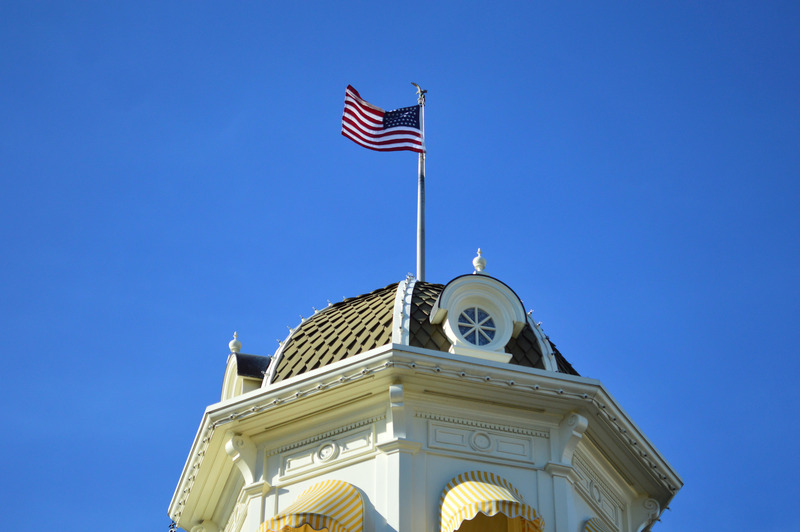 To get around this, the flags you see see flying on top of the Main Street USA buildings only have 45 stars. That’s right, these flags have 3 rows of 8 stars and 3 rows of 7 stars. 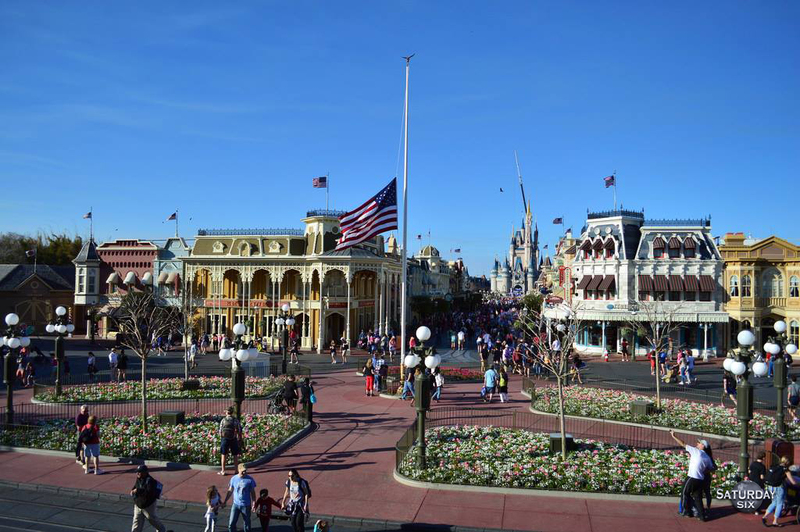 The main flag you see in the center of Main Street is an official American flag and follows the flag guidelines (including being flown at half-staff on certain occasions as well as being taken down every night). Recommended supplement: A SATURDAY SIX Salute to All Nations (But Mostly America) as well as the equally fantastic SATURDAY SIX: A Tribute to America. 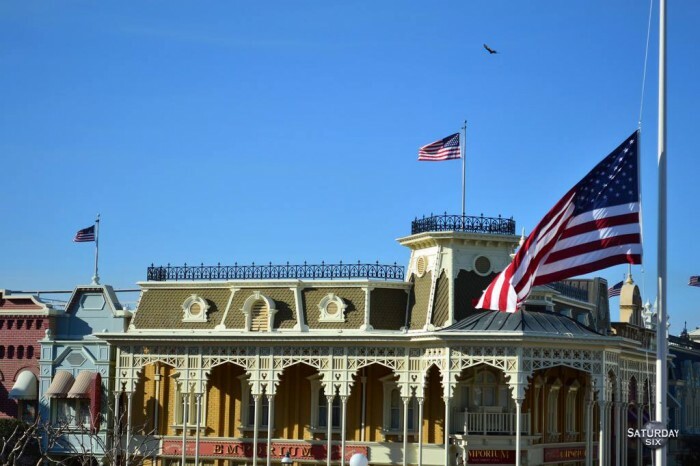 That’s right folks, while some bloggers may do their writing on foreign theme parks (we’re looking in your direction Seth Kubersky and Tom Bricker) we here at the SATURDAY SIX hold our head up high as we should, entrenched on American soil. USA! USA! USA! As one of the coolest attractions ever built by Walt Disney Imagineering, 20,000 Leagues Under the Sea will always hold a special place in our heart. Unfortunately the submarines last submerged in the 1990s, but there are tributes to the attraction inside the Magic Kingdom today, both near where the attraction was in Fantasyland. The first can be seen the incredible rock work on the Under the Sea ~ Voyage of the Little Mermaid standby queue. The second is at the Many Adventures of Winnie the Pooh and can be found inside the big tree standing in front of the attraction. 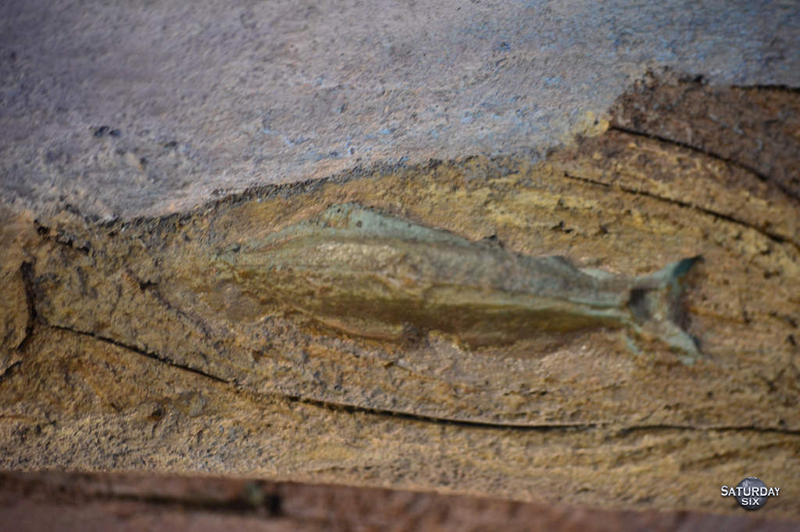 Look around the doors and you’ll se a Nautilus carved into the wood. Recommended supplements: Jim Hill’s Sure, “Star Tours” is great … But would a “20,000 Leagues” simulator have been even better? Click HERE. Martin’s Vids: 20,000 Leagues Under the Sea Ultimate Tribute. Click HERE. We’re not the only ones who miss The Nautilus, Disney’s new Twenty Eight & Main brand has created items including hats, shirts, and a sign featuring everyone’s favorite sub. 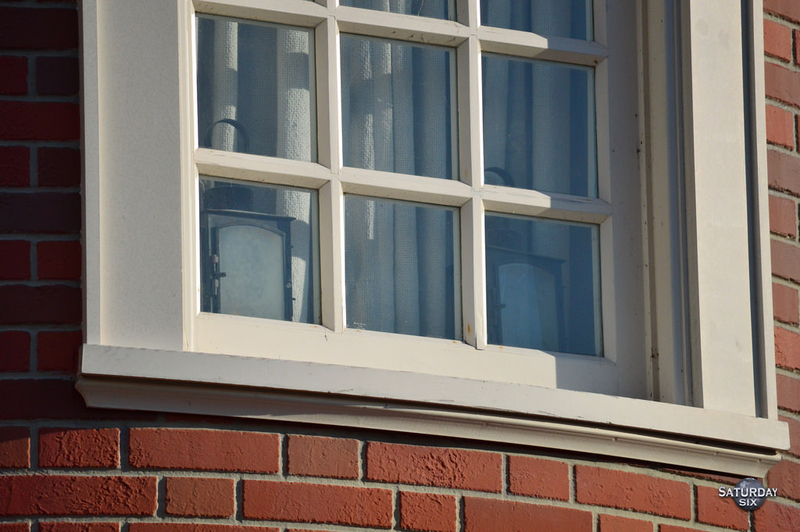 There are so many more Easter Eggs in the Magic Kingdom that we’ll be back later with another edition, but stay tuned in coming weeks for looks at the other WDW parks. Special Thanks to crack staff photographer Brandon Glover, logo meister Matt Cleary, and blogger to the stars Megan Stump for their invaluable assistance with this article. Be sure to also check out Brandon on The Park Blogger podcast with co-hosts Aengus Mackenzie and Brian Carey. How Much Do Toiletries and Sundries Cost at Disney? I think your first visit or two is all about the rides and attractions. The more we go to Disney, the more I try to find the hidden details and the stories the attractions and lands are trying to tell. The rides become secondary. YES! We enjoy the parks SO much more now that we’ve been lots of times. There’s no more pressure to do everything (partially because we KNOW we’ll be back soon) and we can spend more time doing things like hidden Mickey’s, trying new dining locations, exploring resorts, etc. Last trip my husband and I spent half a day just relaxing and taking in the beautiful views on different modes of transportation we’d never taken before, like the boat ride from the Contemporary to Wilderness Lodge or the walk from the Boardwalk to the Swan/Dolphin. Since Disney neglected to add anything Gravity Falls related in the parks (not even a postcard? ), an Easter Egg would be a nice memento. Since Gravity Falls is a TV show that’s not even four years old and only had two seasons, I don’t think the reason is neglect as much as time and (low) priority. It’s a well-regarded show, I just wouldn’t hold my breath waiting for it to make an appearance in the parks (if I were you). We would love a piece of merchandise… a pin, hat, shirt, keychain, mug, etc. Even better would be a Bill Cipher hieroglyph somewhere in the parks to represent. I get your point; GF isn’t huge or classic by Disney standards. They do roll out stuff for short lived Disney Jr shows. A nod to GF could be appreciated, too. Won’t be holding my breath though. Thank you for this post! 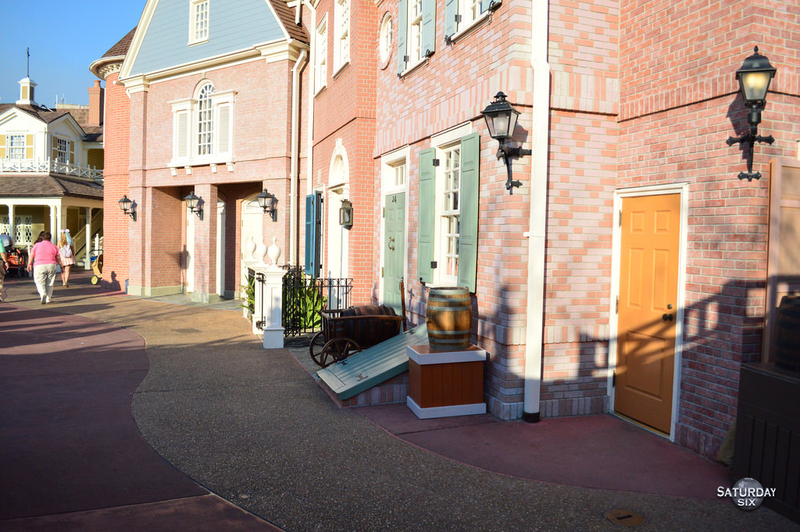 I enjoyed learning about the details of the different sections of Liberty Square as well as Main Street. I also enjoyed the “extras” in the links (Daisy’s detail posts). Y’all are great! Thanks for the details, the photos and the humor, as always. I even learned a few facts I had not known before, and I thought I was well-read on the hidden stuff! If you didn’t know the American stuff maybe you’re just… well, red. 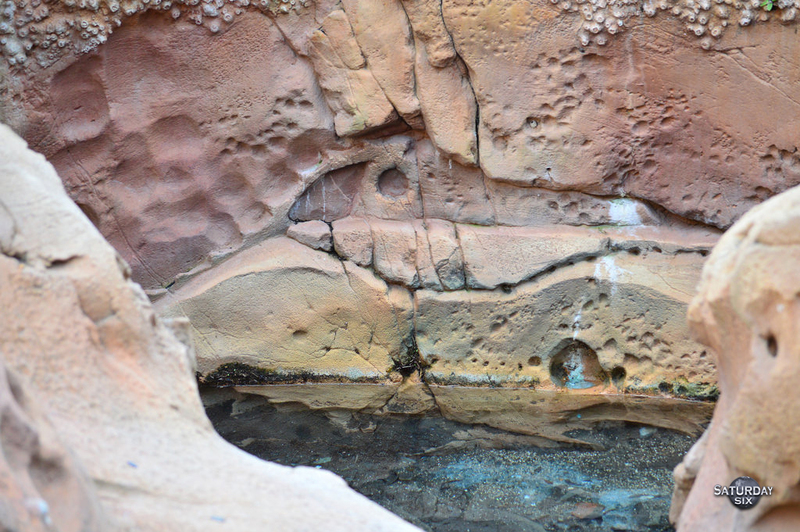 When we took the KTTK Tour, our guide told us the they saved some water from the 20,000 Leagues attraction and at the opening ceremony for the new Little Mermaid ride, they poured it into the water the runs around it. Pretty cool! While the Flag Code rightly suggests practices that show respect to the US flag, they are just that… suggestions. We have flags flying here around our Convocation center that fly continuously, and which never fly at half-mast. 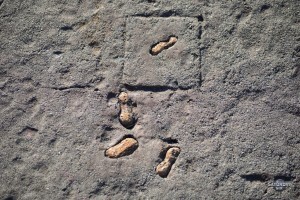 They are also not illuminated at night.